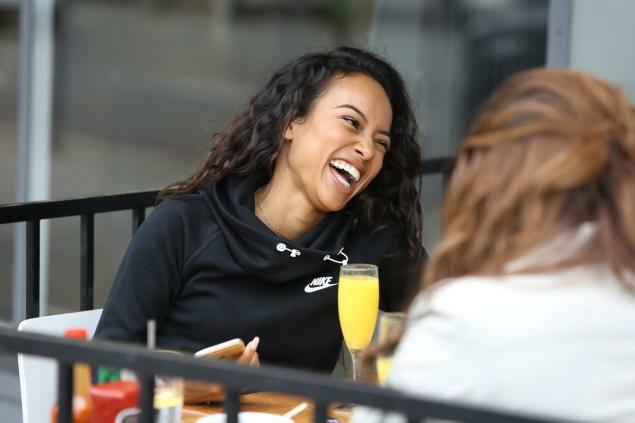 Chris Brown Threatens Tyson Beckford over His Selfie with Karrueche Tran. We Have All The Deleted Tweets. - T.V.S.T. 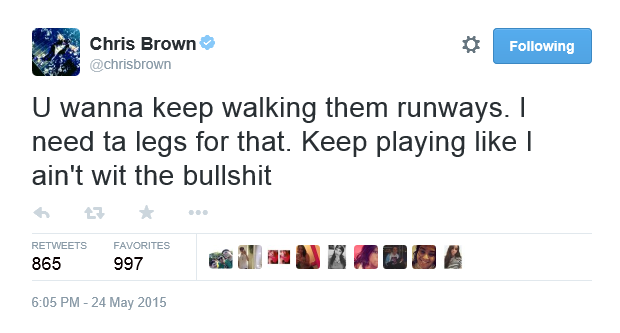 The “tweet it” and Delete it king is back at it. I still can’t believe that this is actually a thing. Honestly if I had the type of money, cars, fame and resources that either of these guys have, I would not let a female cause me to jeopardize any of it by making threats on social media. When I put it like that, it sounds really stupid right? That’s because it is. This selfie got C-Breezi feeling a certain type of way. Pause…time for a sidebar. SIDEBAR: The problem with celebrity beef is that fans and groupies take the beef much more serious than the celebrities actually do themselves. While neither Tyson nor Chris Brown plan on ever actually throwing a punch let alone shooting a bullet, a fan who has nothing to lose, might do that plus more. I suspect this is what happenned with Biggie. ……Introducing Kid Red. I’m sorry….who is Kid Red again? TYSON RESPONDS WITH TWO VIDEOS…. 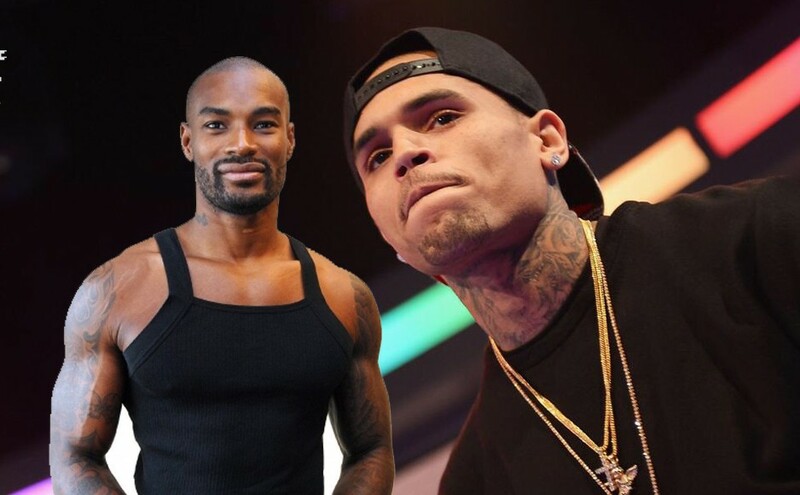 #TysonBeckford has another message for #ChrisBrown via snapchat!! While acting tough and claiming gang affiliations might seem cool, there is a point in your life where you realize that it’s not. Tyson at age 44 should know that even poking a bear that might seem harmless could have long reaching affects, especially when your family is being threatened. 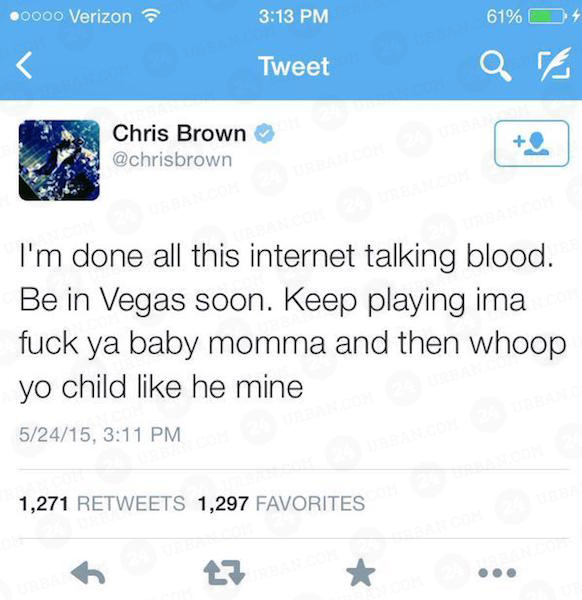 While Chris Brown’s previous opponents are women (Drake and Rihanna..lol) it’s the Kid Reds of the world that we have to worry about. 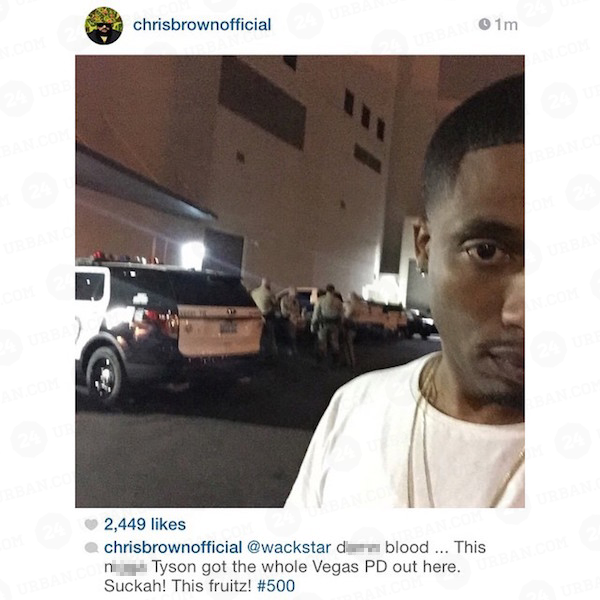 The “fruitz” that Brown is referencing is a notorious gang from Compton. 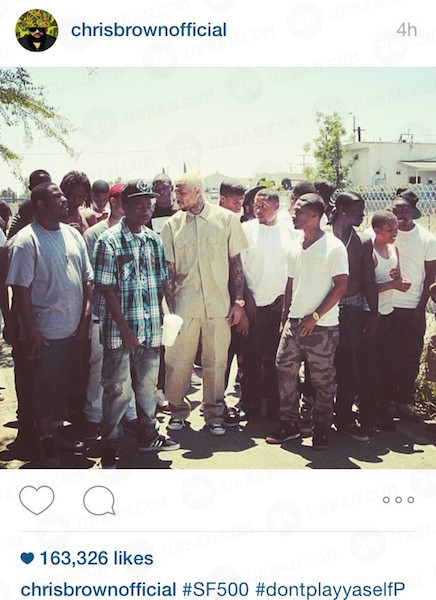 They are called the Fruit Town Piru Bloods and rumor has it that Brown has been with them since 2014 at least. Just in case there was some speculation it is now backed up by hashtags. Technically if anything happens to Beckford at the hands of this gang, Brown can be charged with having an affiliation to the crime. Why would you want to expose yourself like that…especially over a girl that you cheated on and got another women pregnant. 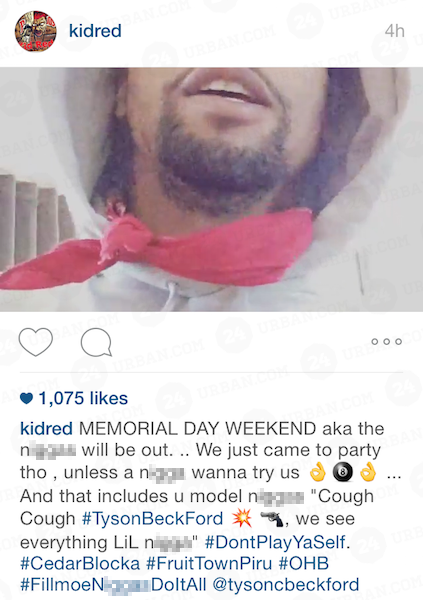 Like I said before, let’s hope this beef dies down just like the rest of the Memorial Day 2015 festivities.